Thank you for joining us today on Thriving Beyond Belief! I am so happy to have Jessica Honegger with me today on the podcast. The central word of this podcast resonates with Jessica, as the company she founded, Noonday Collection, centers around helping others thrive. 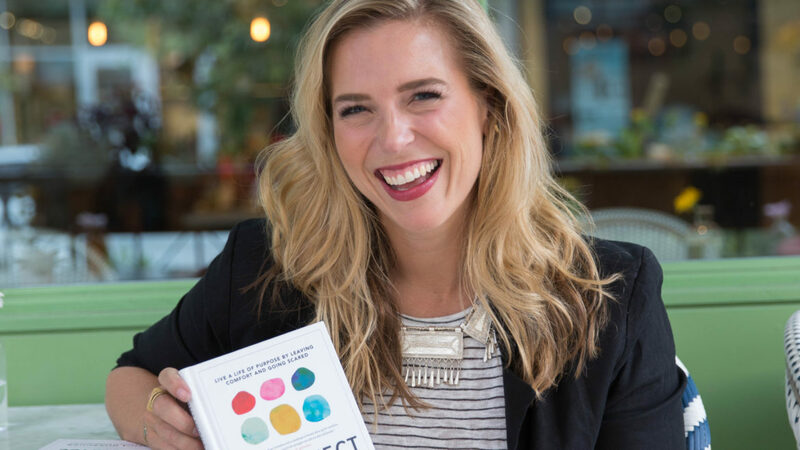 In her new book, Imperfect Courage, she shares so much about her journey! From helping women get jobs, celebrating the family unit, and being a creative outlet, Noonday Collection helps others use their gifts for the Lord and helping others be all they were created to be. Jessica shares with us what thriving means to her, and it is evident in how she lives her life. Jessica shares her life with her husband and three children in Texas. She shares how the adoption of her third child helped launch all that she does today. While speaking on her own story, Jessica discusses how the purpose of her life came after years of what seemed like random avenues. We discuss the fact that the path to success is not a linear path, and to never compare your beginning to someone else’s middle. The Lord weaves together our story and brings all things together, if we are willing to trust Him on the “faith walk”. If we lean into Him when the path does not seem clear, He is faithful to the promise He gave each of us. Choosing anxiety, cynicism, and disappointment is the easy path in life. But to choose love, purpose, and vulnerability takes hustle and hard work. Those things require effort. To choose peace is an active decision and requires time spent with the Lord. There are so many sweet nuggets of truth in this episode about what true courage is (which is the topic of her new book, Imperfect Courage), what true surrender is, how to trust the Lord when He tells us who He is, and how to embrace the waiting periods He has us in. Remember that in the seasons of waiting, He invites you to wait WITH Him. It’s not a stagnant state, but rather an active time with the Lord. She encourages women that we can be excellent in all of our roles. Excellence is not mutually exclusive and it is a plot of the enemy to think we can’t be a good wife, mom, CEO, etc. God has created us all with unique passions, and He will be faithful to let us succeed in all of our roles. I can’t wait for you to listen in on this episode today. So grab a cup of coffee, put in your earbuds, and enjoy!